No season of Survivor would be complete if we didn’t compile the all-time list of winners each season. With 34 seasons now in the rear-view, we just witnessed Sarah Lacina becoming the latest person to win Survivor…but where does this heroic cop-turned-criminal sit on the all-time list? All 33 people who won Survivor obviously did something right in their season to have won. 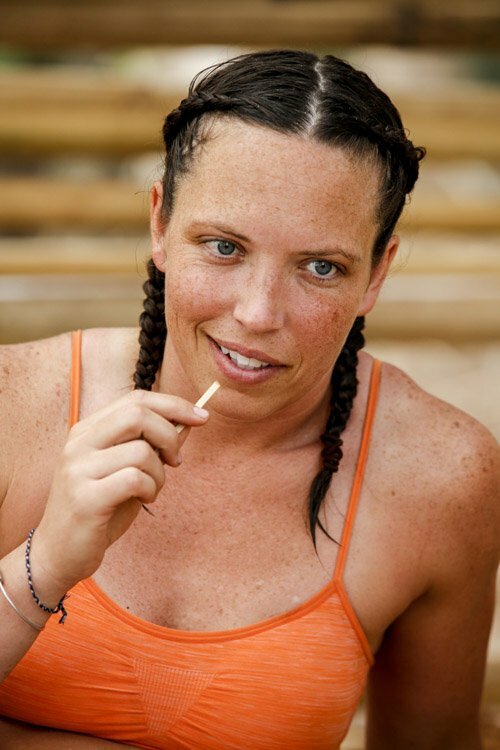 So this ranking is based on three things, and it’s quite simple: How the person played the game – their particular winning season – according to Survivor’s moniker of “Outwit,” “Outplay,” “Outlast.” Read on in order to see the Top 10 Survivor Winners of All-Time and where Sarah Lacina ultimately ranks. Exclusive Interview With The Survivor: Game Changers Contestant Voted Out Of Episode 5 – Spoilers! What a difference a day makes. One minute you are on top of the world and running the show, the next you find yourself fighting for dear life. Another unpredictable Tribal Council led to the latest exit on Survivor, and it left Jeff Probst with a huge grin on his face…always a good sign the show’s going well. Caution, as spoilers from this week’s episode are to follow! Turn back now! If you want to get caught up, be sure to check out the Episode 5 Recap here. Is there any better feeling to achieve when watching Survivor? 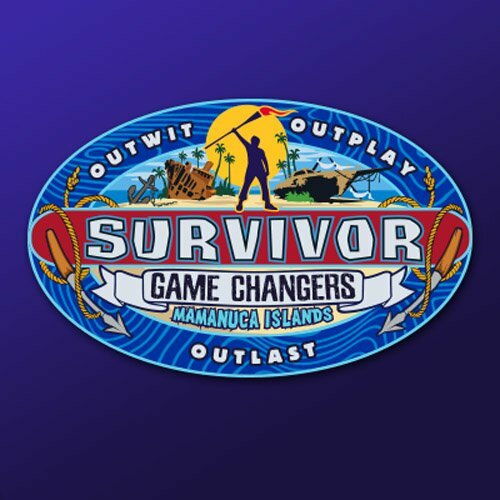 Please be warned that there are spoilers to follow, as we will be discussing in detail the events that took place during Episode 5 of Survivor: Game Changers. Exclusive Interview With The Survivor: Game Changers Contestant Voted Out Of Episode 4 – Spoilers! Although sugar played a huge part this Wednesday on Survivor, not everything was so sweet for one contestant. On the heels of last week’s history-making Tribal Council, we were give a heck of a follow-up episode this week, where not only was there not much chaos at Tribal, but someone actually calmly sipped water from a cup as the votes were read…no joke. That’s a bit of a drastic contrast from the craziness we had previously witnessed. Caution, as spoilers from this week’s episode are to follow! Turn back now! If you want to get caught up, be sure to check out the Episode 4 Recap here. This season’s Survivor Heroes vs Villains is being hailed by many as being one of the best ever. The ratings also proved to be great, as they were up from last May with over 13 million viewers tuning in. There is however some controversy over Sandra Diaz-Twine being crowned the winner. Some feel Parvati Shallow deserved to win, while others feel fan favorite Russell Hantz should have won. One person who agrees with the later is none other than Russell himself. In a new interview with ET, Russell, 37, feels he won in his head and also believes he played a good social game despite what his Survivor peers believe. ET: Do you feel robbed? This is the second time you made it to the end and didn’t win? Russell Hantz: When I win the Player of the Game, the MVP of the game, then my argument is legitimate. I am not just saying it. I am not being cocky. It is fact. The fans think I played the best twice. They voted me the fan favorite. I won twice. It is amazing that people get so bitter and can’t vote the way they are supposed to vote. All these weak people who play this game. ET: All season the voted off survivors told me that they didn’t think you had a good social game. You didn’t receive a single vote last night. Do you think that is why? Russell Hantz: They are saying I have a strategic game, but not a social game? Look what I did at Tribal Council. People say that, but they get their feelings hurt so much because my social game is so good. Look how I switched the vote at Tribal Council. It was supposed to be Rupert, and Danielle went home. I looked at Jerri and said, “Danielle.” If that doesn’t say right there that my social game was brilliant… How can you get somebody to switch their vote just by looking at them and saying the other girl’s name? Russell Hantz: She trusted me. She believed me. That is why. She believed me the entire time. They could have ganged up on me. I was one person out there. If I was that weak and they couldn’t take me out, it makes me look even better. If I am that good at intimidation, I am even better. ET: Was it harder playing this the second time with survivors who had played before? Russell Hantz: It was really hard. The first time was a piece of cake. It was laughable. The second season was tough. There were really tough players out there. Parvati was really good. Boston Rob, Cirie, Candice and Amanda are all really good players. ET: Do you think you were at an advantage because they didn’t see your game? Russell Hantz: I think it was equally the same. Everybody thinks I have a huge advantage, but they were all friends. They all went to events together and know each other. I am sure they were calling each other on the phone before it all started. I didn’t have that advantage. Also, my disadvantage was that I had just played 39 days of a very strategic game. Also, I was physically whipped because I had just played 39 days in a very physical game. You can definitely say I was at an advantage because they didn’t see me play, but you also say, I had a disadvantage because they had advantages on their side, too. TELL US – WAS RUSSELL ROBBED? SHOULD HE HAVE WON? And it wasn’t an easy task. Sandra had to beat out Parvati Shallow and Russell Hantz, who lost his second season in a row. Russell, 37, ended up receiving zero votes, as the jurors determined he played the game too dirty. Russell was however awarded the $100,000 consolation prize yet again. The prize is for being the fan favorite and the winner is determined by viewer votes. Parvati, 27, who placed second, was however a more gracious loser than Russell. Host Jeff Probst also revealed that after 114 days of playing the game over three seasons, she has played it more than anyone else. It was also revealed she’s tied for second for most individual challenge wins. Surprisingly Colby Donaldson still has the record, despite his bad game play this season. The dumbest move ever award was also awarded last night and the unfortunate winner of that was JT, who was seen earlier this seen handing over his immunity idol to villain Russell. Going into yesterday’s finale, I was rooting for Sandra and thought she played the best game, but after watching last night, I had a change of heart. I found myself rooting for Parvati, who I now believe played the best game this season and in my opinion is the best player in Survivor history. I believe Sandra had a lot of luck go her way, while Parvati had to win and scheme. TELL US – DO YOU THINK SANDRA PLAYED THE BEST GAME? IF NOT, WHO DO YOU THINK DID? Tonight is the long awaited finale of Survivor: Heroes vs. Villains, and with four villains left standing, it is all but certain a villain will be crowned the $1 million winner during the 2 hour finale. The favorites to win it all seem to be Parvati Shallow, Sandra Diaz-Twine, and Russell Hantz, as Parvati and Sandra are both past winners. The lone standing Hero Colby Donaldson has a good shot if he makes it to the finale two, however with Colby’s almost non existence game play this season, that seems unlikely. Russell, who also has a good shot of making the final two, will likely not the $1 million prize. He has simply played too dirty, and will have a hard time getting votes in the end. The finale airs tonight on CBS at 8pm Eastern, followed by the reunion show at 10pm. 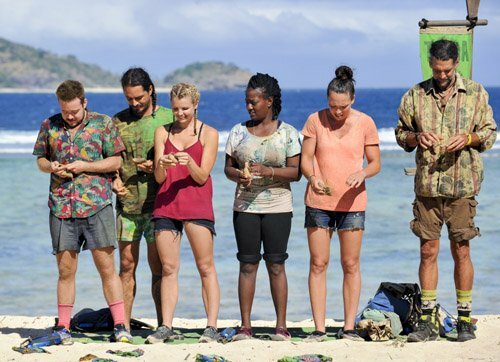 Heroes tribe member Rupert Boneham found himself the latest castoff to be eliminated as he chose to align with Russell during the last episode. In a new interview with PEOPLE, Rupert, 46, discusses his choice to align with Russell, why he turned on Sandra and why the Heroes could have won it all. You couldn’t possibly have been surprised by that vote. I knew my number was up at the last few tribal councils. The rock in my pocket trick gave me one more day and the villain infighting that resulted in them getting rid of Danielle bought me another. I tried to do it a third time by going to Russell and saying the girls were trying to get him and going to the girls and saying that Russell was at camp planning to vote them [off]. It just didn’t work that time. Did anyone have a clue that Sandra had an idol? None. It had been hours since I put that rock in my pocket and no one called me on it, so I figured it was still out there and the clue was too hard. Up until she stood up and played it, I thought I still had a chance at a tie. Sandra and you were allies in Pearl Islands for awhile. She narced on Russell at the merge and seemed happy to flip yet you guys didn’t utilize that. Then you sold her out again last night? Why? I was trying to play them against each other that last day. They didn’t show me asking her why she wrote my name down when she said she wanted to get rid of Parvati or Russell. Her answer was always the same — “I have to stick with my villains.” I never knew when to believe or trust her. I knew she was trying to be honest because Sandra’s my buddy but the other heroes wouldn’t listen. Then we tried to get Russell by explaining that the girls would gang up on him given the chance just like they had for the immunity challenge but he wouldn’t listen either. Did you ever in a million years think the last Hero standing would be Colby? Oh my gosh, no, because he’s been a wet noodle in this one. If James hadn’t gotten hurt, Colby would have never made it this far. I really like Colby, but he’s the last standing because no one sees him as a threat. He used to be a big threat. Do villains play Survivor better? A villain type has an advantage because they’re more willing to compromise their values and do whatever it takes to win. I’m not willing to do that. I have guidelines and boundaries and I like showing that it matters how you play the game. I still say that if the heroes had stood together, it would have been all heroes in the final five. We had the chance to show the game as positive and we each chose on our own not to. Amanda chose to tell Parvati everything, which is why she gave both those idols away. JT chose to go to the evil side and give Russell our idol. Candace chose to flip. A hero could win this game but it takes more than one. You need a team. TELL US: WHO SHOULD WIN SURVIVOR:HEROES VS VILLAINS? WHO PLAYED THE BEST GAME?